We have created this safari to offer a truly outstanding safari experience on the Chobe River, Victoria Falls and Hwange National Park, combining several of our absolute favourite products for that perfect holiday of a lifetime. 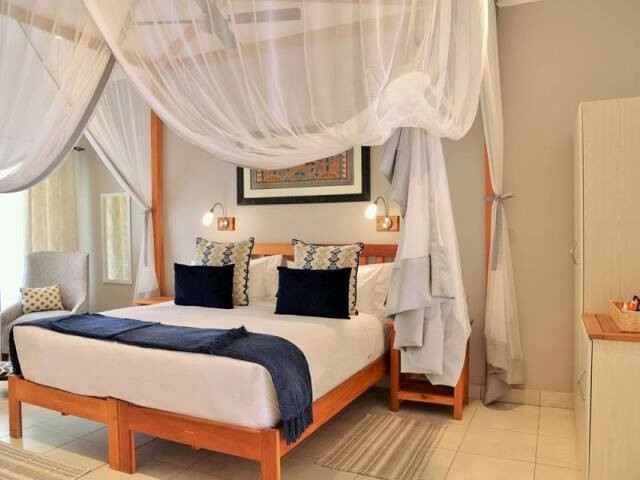 Starting off with 2 nights on the Chobe Princess, this luxury houseboat offers possibly the best way to experience the Chobe river and the profusion of wildlife it has to offer, yet it is uniquely separated from the hordes of tourists that can be encountered in Chobe National park at other lodges. 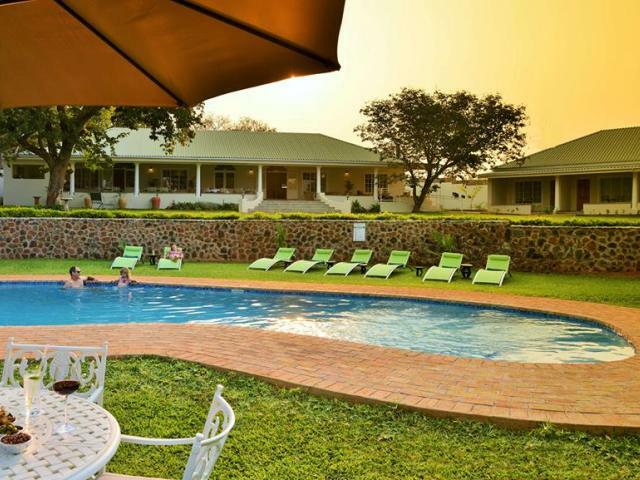 Followed by 2 nights at Batonka guest lodge in Victoria Falls to enjoy all the activities on offer there. This top quality and personal boutique guest lodge is priced well below what is should or could be. Finally, 3 nights at Bomani tented safari lodge for a totally authentic safari experience in a remote corner of Hwange National Park. The guiding, the game, the camp and its location are all of an excellent standard ensuring that you have unforgettable African Safari. 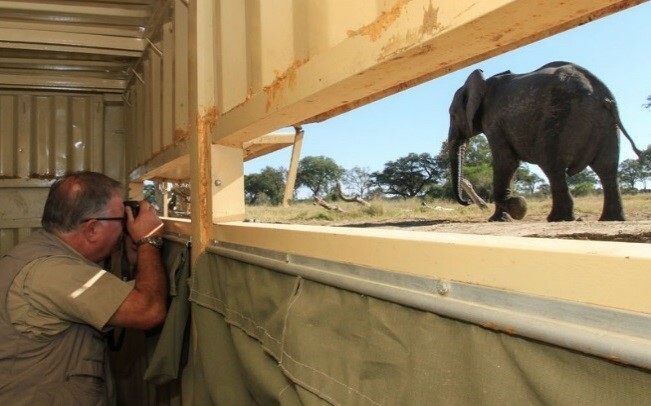 But that’s not all, the transfer into camp is on the specially designed Elephant Express rail car which is a total safari experience all on its own. Upon arrival in Kasane airport you will be met by a representative of the Chobe Princesses and taken to the Kasane Immigration Office which is a short 15-minute drive. After clearing through Botswana customs and immigration a short boat transfer takes you to Impalila Island, which is part of Namibia's Caprivi region, to the immigration office there. 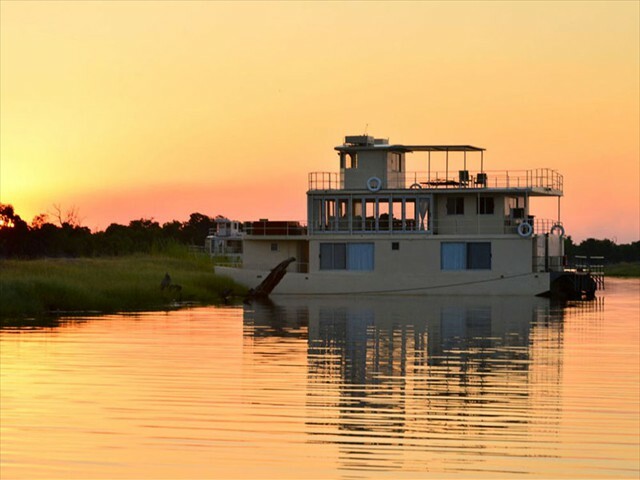 After completing border formalities in Namibia you will be transferred up the Chobe River, on the same speed boat to join the Chobe Princess houseboat and to start your incredible river safari. Once aboard the Princess, she gently cruises upriver t0 her first night spot and you can relax in the comfort and privacy of your room, or enjoy tea or coffee with snacks, or sundowner drinks on the entertainment deck while taking in the gorgeous view. 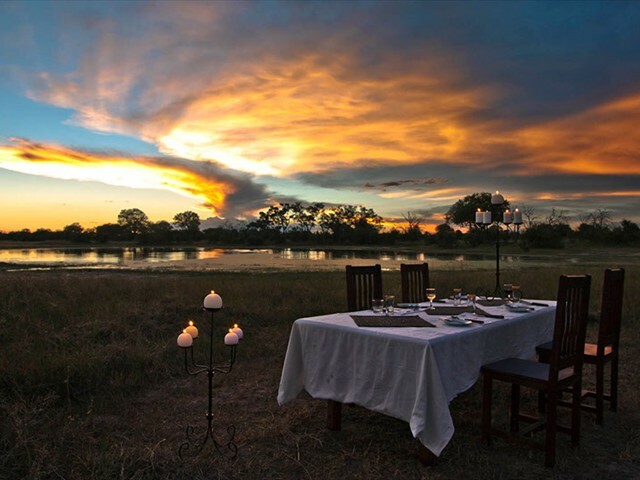 After sipping on a traditional African safari sundowner, sit down to a three-course evening meal as you’re serenaded to the sounds of hyenas, elephant and perhaps even lion nearby. After dinner, enjoy a coffee and a nightcap before heading to your cabin to round off the day. At sunrise, enjoy a warming cup of tea or coffee with wholesome rusks and biscuits before departing by tender boat for game viewing or other excursions. After an exciting morning – or even if you've chosen to stay on board and lie in – settle in on the deck for a fresh continental buffet or a hot English breakfast if you prefer. Activities on the houseboat are not scheduled, so you can stay in or go for any of the activities on offer from fishing, cultural tour, game cruise, or birding safari. You will find more information about them in the next section. 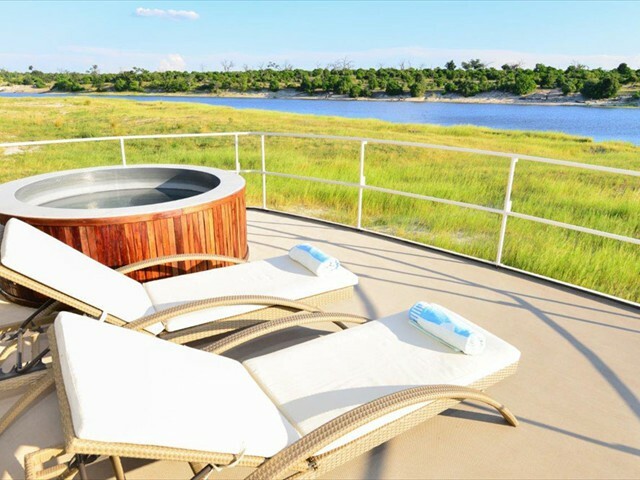 The Chobe Princesses is a luxury safari houseboat that cruises the Chobe River. It is the perfect platform to experience all that the Chobe has to offer with the added benefits of being on the Namibian side of the river. Quieter, more secluded and personalized, it is ideal for families, couples or groups who wish to enjoy the very best of an African river safari. Whilst on the Chobe Princesses you can cruise around 50kms of the river and overnight in some of the most scenic areas on the Chobe. The Chobe Princesses have 3x exclusive docking sites within the Chobe National Park. The Chobe Princess 1 has 5x double/twin air-conditioned, en-suite cabins and the Chobe Princesses 2 & 3 have 4x double/twin air-conditioned, en-suite cabins each (tastefully fitted with a modern shower, toilet and hand basin) with large sliding windows with mosquito screens opening onto the water. The elevated entertainment deck provides the guest with an open dining/lounge area where guests can enjoy elevated views of the surrounds. This deck has a refreshing plunge pool as well as a fully stocked kitchen and bar. The Chobe Princesses each have a full time captain on board as well as 4 staff to ensure the guest is well looked after. The on board chef will also provide outstanding meals (catering to specific dietary requirements) for guests. 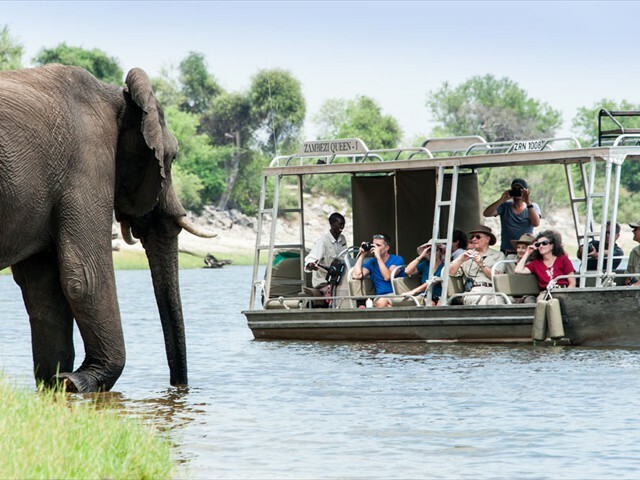 Activities Include game viewing by tender boat into the Chobe National Park and Caprivi Wetland areas allowing guests to get up close and personal to the outstanding wildlife. Birding is a year round pleasure with over 400 recorded species. 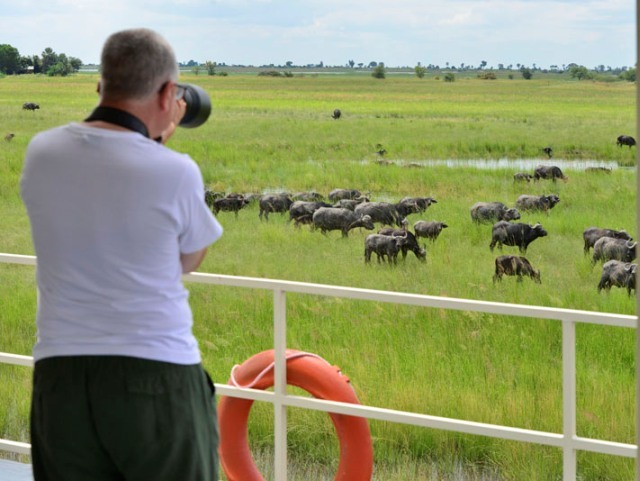 Photographic Safaris on our customized photographic safari boat especially designed to provide keen photographers with the perfect platform to get the perfect picture. Fishing in over 100kms of the Chobe and Zambezi Rivers for Tiger Fish, Bream and several other fresh water species. 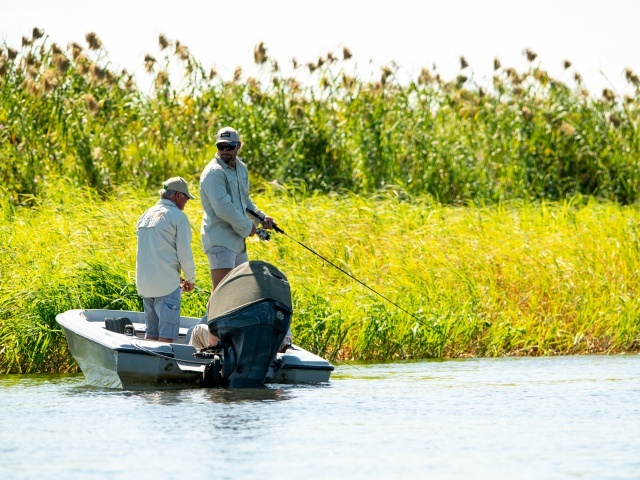 High quality equipment (conventional and fly-fishing), knowledgeable guides and excellent tender boats are all available for guests use. 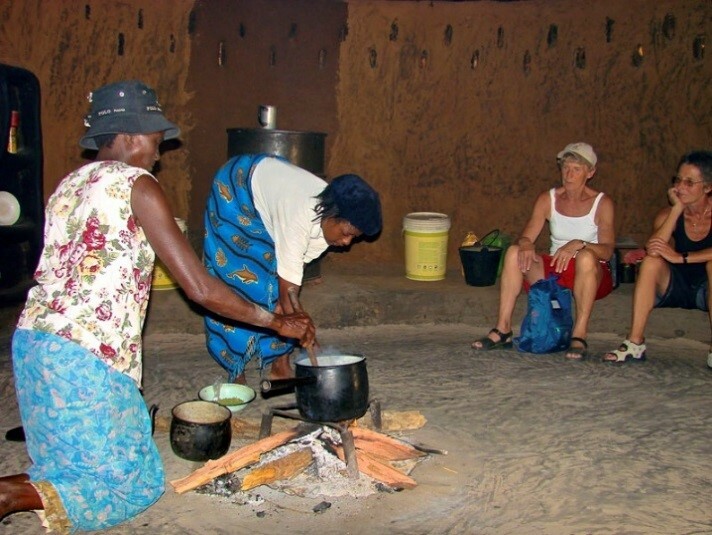 Guided Walks are a must on Impalila Island as they will give you an insight into the life of local inhabitants, introduce you to the stark beauty of the area and amaze you with the enormity of the Baobab trees. You can even climb an ancient Baobab tree from where you can see all four countries (Namibia, Botswana, Zambia and Zimbabwe) - a truly one-of-a-kind event! 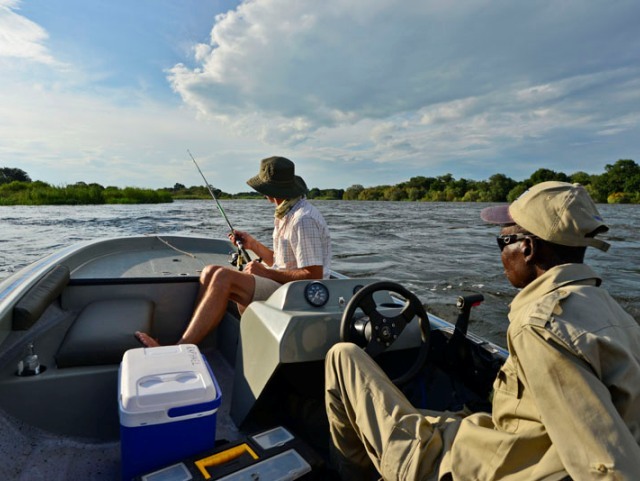 No trip to the Chobe is complete without trying your hand at a fishing safari where if you’re lucky, you may even catch a tiger fish. One of the greatest fighting fish in the world, the tiger fish is the most sought after prize of these waters and is known for its ferocious spirit. It's not all about tiger fish though. 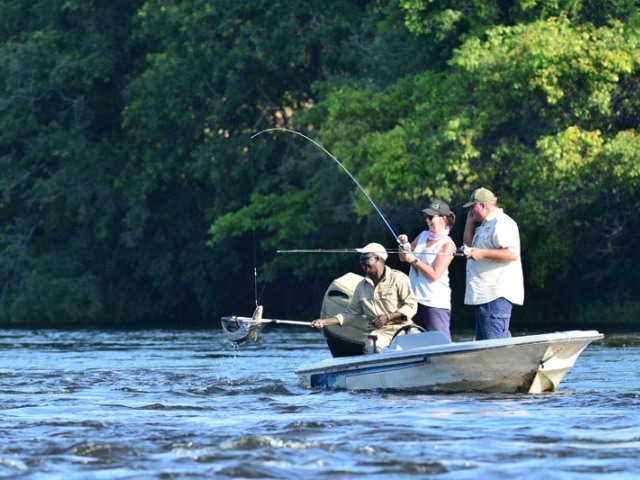 You may also hook one of the many bream species, African pike, tilapia, catfish or upper Zambezi yellow fish as you explore over 100 kms of the Chobe and Zambezi rivers, as well as the winding Kasai Channel and thrilling Chobe and Mambova rapids. 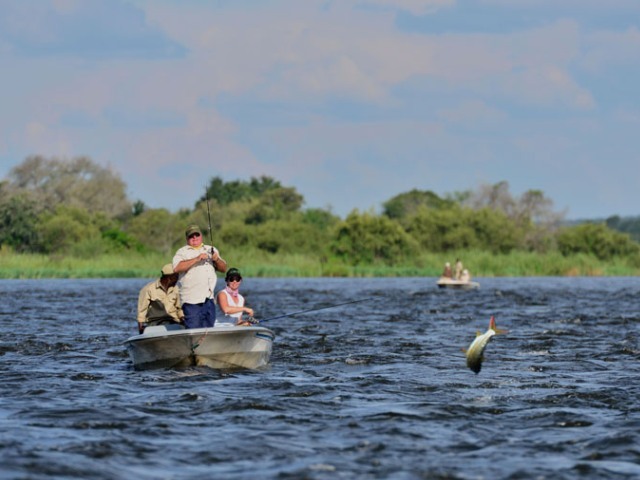 Chobe Princess offer both conventional equipment as well as fly-fishing equipment for the fishing safaris, because the area is renowned worldwide for its fly-fishing. Rods, flies, lures, lines, leaders and reels and all equipment is included in the rate. Experienced birders and even eager amateurs will delight in spotting distinct birds such as African skimmers, rock pratincoles and the African fin-foot, either through their binoculars or with the naked eye. 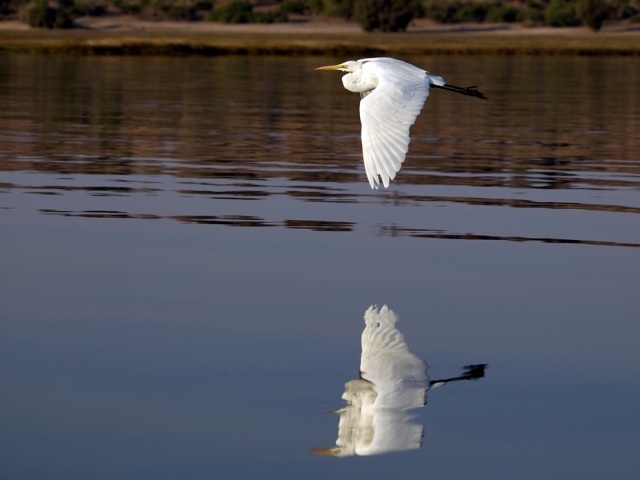 Having access to your own knowledgeable guide and tender boat lets you spend many hours on your birding safari also viewing cattle egrets, fish eagles, open-billed storks, lesser-striped swallows, pied kingfishers and the striking carmine bee-eater. The slow drift of the tender boat means that you won’t disturb the peaceful silence and can also get up close to the birds and observe their fascinating behaviour. Sit patiently and absorb the beauty around you and soon you’ll be rewarded with a unique sighting that you’ll want to photograph. 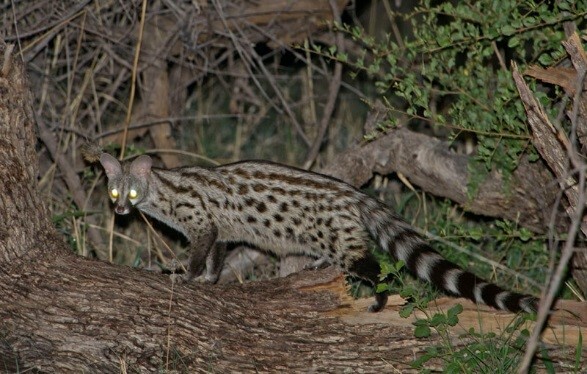 Because you’ll have access to the Chobe National Park and the Caprivi wetlands, you’ll get exposure to a wide variety of species you may have never seen before. 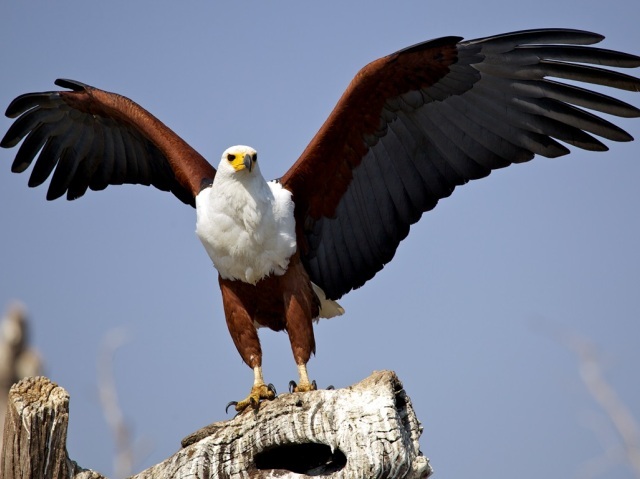 The distinct sounds of the call of an African fish eagle mingling with the grunt of hippos will stay with you long after your Chobe River bird-watching safari is over. Uninterrupted access to wild animals. Absolute silence. Golden light. The Chobe River is an unforgettable photographic safari destination, and one of the wildlife photographers’ hotspots in Africa. To help you capture that perfect moment, custom-designed photographic safari boats are available on request and cater for 6 clients in individual photographic seats. The boat contains custom-designed swivel chairs that give you greater stability and 360-degree views for a wider range of subject matter. 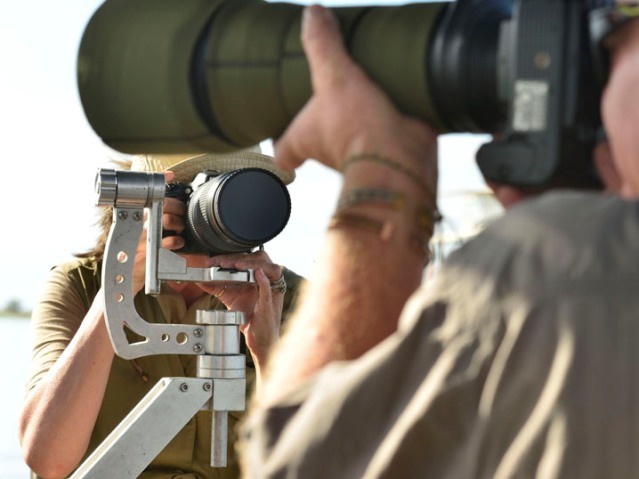 Every seat is equipped with a mounting for resting SLR cameras of all types and you’ll get your own experienced safari guide who’ll help you find that perfect shot. 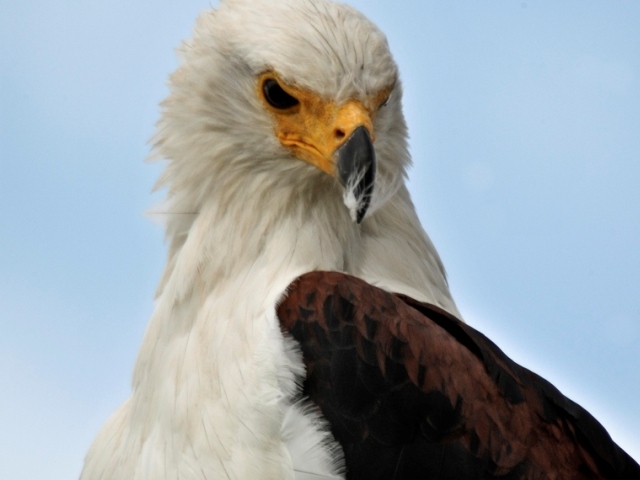 Bring your own photographic equipment - the optimal lens to bring is an 80 - 400mm zoom. 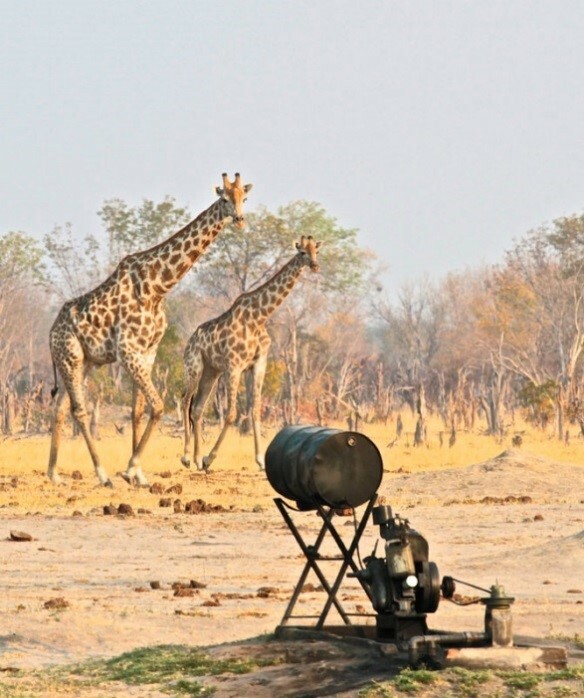 Because this is a water-based safari, you'll be able to take unique shots in a safe environment, being able to view the animals in the Chobe National Park surrounded by that magical golden light Africa is renowned for. Tea and coffee will be offered in the morning during the winter months and soft drinks, local beers and wines will be served in the afternoon. Light snacks are also served during your excursion, providing you with a photographic experience that's also about pure comfort. Departure times are early morning and late afternoon and the safari takes three hours. 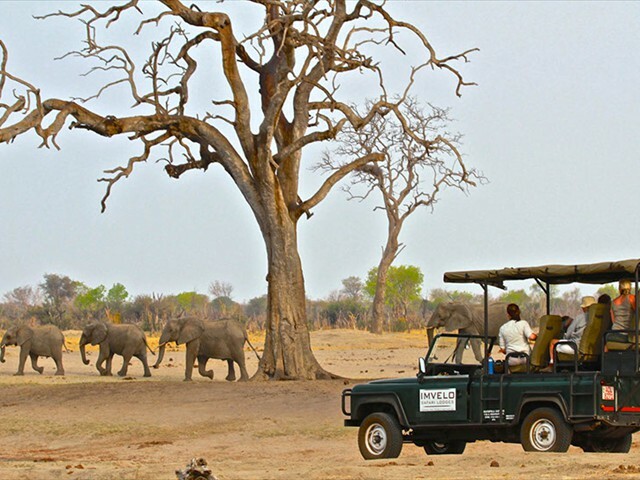 Capture your stay with breath-taking photos of the unique African landscape and the wild animals that surround you. One of the best ways to learn more about a country is to experience its culture. 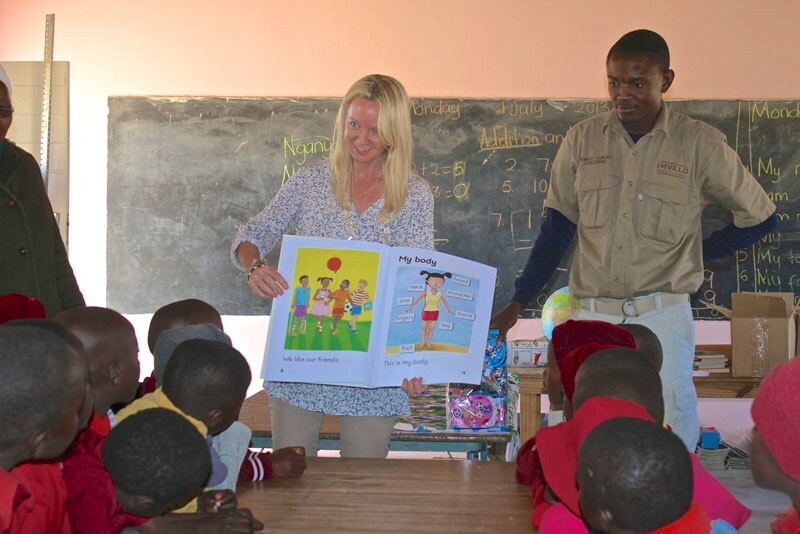 A village tour while on board the Zambezi Queen will take you by tender boat to a local Namibian village called Ijambwe, situated on the floodplains of the East Caprivi. 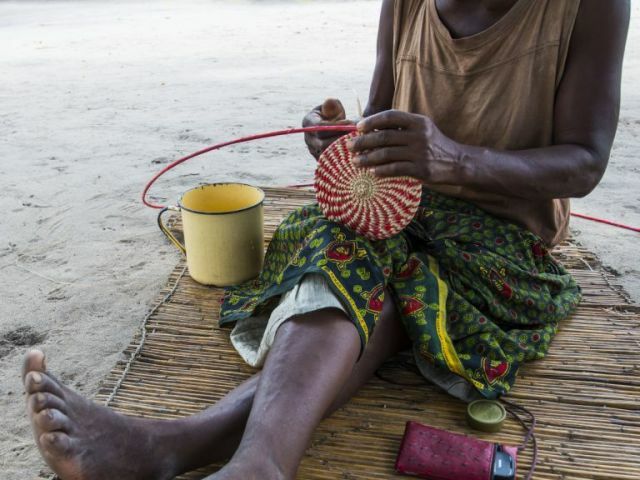 Meet village elders and locals and gain a greater understanding of how the inhabitants of this 100-year old village live, including their daily challenges and traditions. 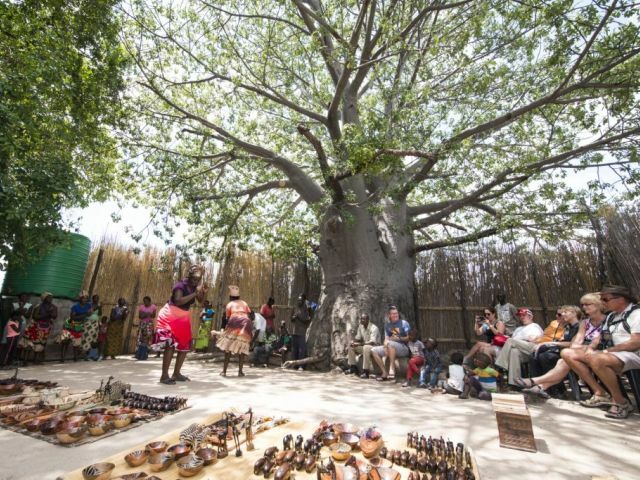 Guests can also go on a walking tour to a 2000-year-old baobab tree where you'll learn more about the medicinal and spiritual value of Impalila Island’s flora. For our more adventurous guests, if you have the inclination to climb the tree, you’ll be rewarded with a bird’s-eye view of the meeting place of two rivers and four countries. Today you will check out of the Chobe Princess after breakfast and boat transfer to Impalila Island Immigration Office. 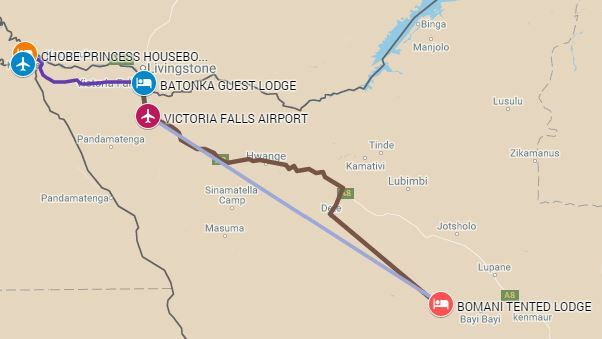 Then on to Kasane Immigration Office for your border formalities and finally through the Zimbabwe border to Batonka Lodge in Victoria Falls. Please make sure that you have your necessary documents for the border crossings (click here for Zimbabwe visa information). The 80km road transfer is mostly through national park so there’s a good chance of spotting more game along the way. It takes roughly 1 hour excluding the border formalities. 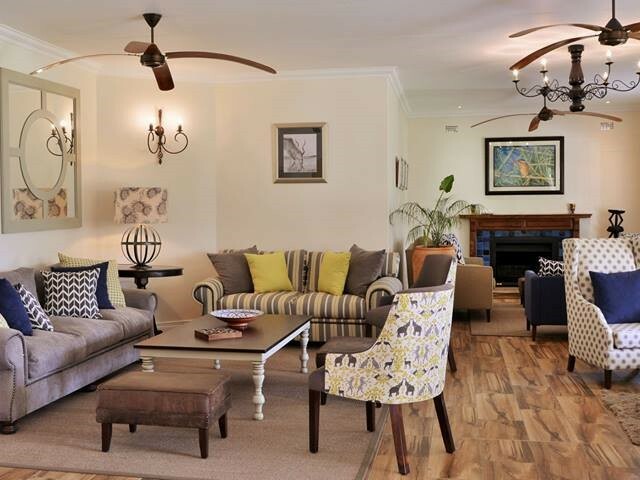 On arrival at Batonka Guest Lodge take some time to settle in and relax. Enjoy lunch at the lodge, or go into town to sample other lunch options. We recommend an afternoon helicopter flight, then an evening cruise with dinner on the Zambezi River. Although activities are not included in the package price, please let us help you to arrange an itinerary of activities suitable for you. Have a look at these Victoria Falls activities and these discounted packages to see what is on offer. Today your safari into one of the best game parks in Africa begins. After breakfast, a 2.5 hour road transfer in an air-conditioned minibus takes you to Dete siding where you will meet the Elephant Express. This refurbished diesel railcar is specially designed for guest’s comfort and optimal game viewing. The exquisite 70km rail journey takes you right along the boundary of Hwange National Park and is the perfect start to your safari experience. At Ngamo siding, a Bomani Lodge 4 x 4 vehicle will meet you and transfer you a short distance, through their private concession to the camp. 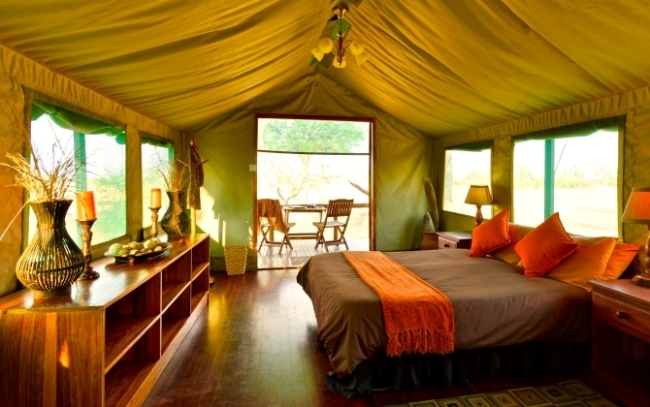 Settle into your tent and then enjoy a late lunch followed by a game drive with sundowners and snacks by the Pan. Freshen up and enjoy a delicious 3 course supper out under the stars. 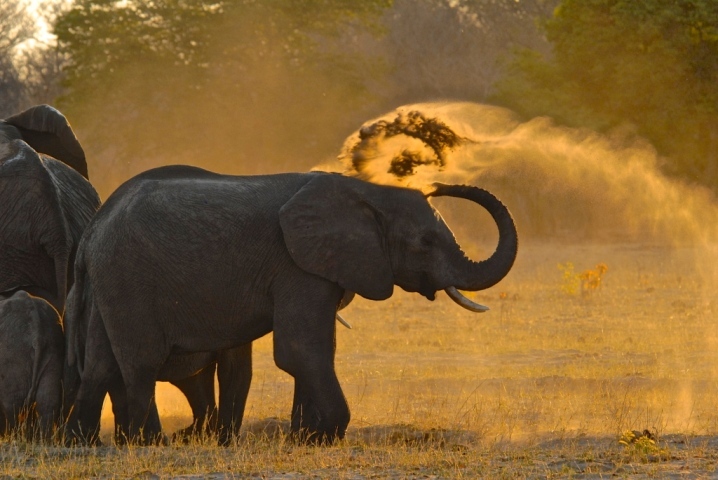 Wake up to an early morning game drive and walk in Hwange National Park’s acacia forests surrounding Ngamo Plains, escorted by a fully licensed and experienced guide. Return to Bomani for brunch and either a siesta or an hour or two in the blind over the waterhole. 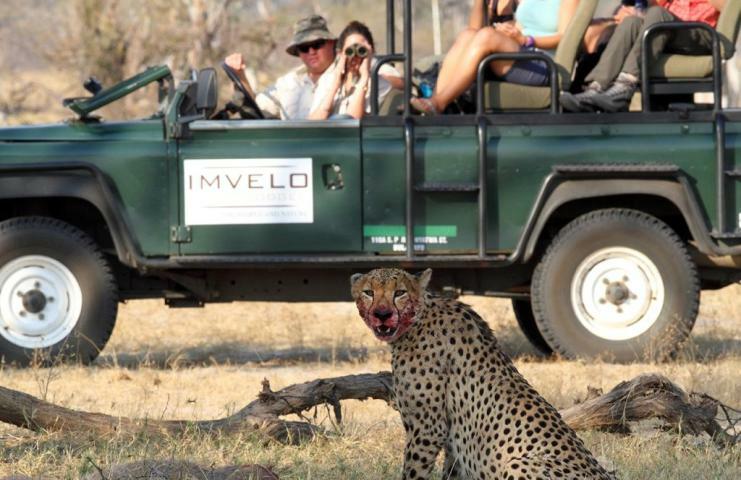 Later, go for an afternoon game drive, photography in the evening light and sundowners and canapés at Major Pan. Return with a night drive back to the lodge to freshen up and then refreshments around the campfire and later a 3 course dinner in the main lodge area. It’s a good idea, although not compulsory to wake up early and go for another early morning game drive in Hwange National Park. Predators like lions are the most active in the early mornings and you have a good chance of spotting them. Return to the lodge for breakfast and then transfer to the onsite Bomani airstrip for your 45minute charter flight to Victoria Falls Airport, this scenic flight over Hwange National park is a great way to end your safari. **Please note that the above activity schedule is a guideline and you can tailor-make your itinerary with the camp managers onsite, to suit your exact needs. Activity details can be seen below. 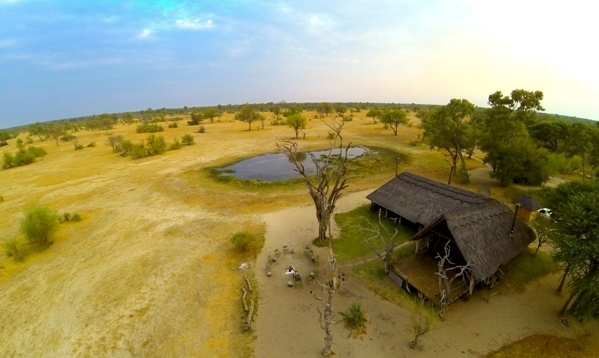 This comfortable and well-appointed lodge is nestled in a remote and untouched corner on the edge of Hwange National Park in a 5000-acre private reserve. The remoteness is one of this camps greatest assets - being so far away from other tourists your safari experience is real and intimate. Bomani is famous for its impressive sightings of elephant, wildebeest, giraffe, zebra and various other antelope, not to mention the ever present predators that prey on them. The birdlife is also fantastic, especially during the rainy season when wild fowl gather in vast numbers on the flooded plains. Without a doubt, Soffies Pan/Hide is a highlight for all guests to Bomani. This shipping container is buried in the ground about 30 metres back from the waterhole. Entering through a trapdoor in the containers roof, you will find seats and benches perfectly placed. 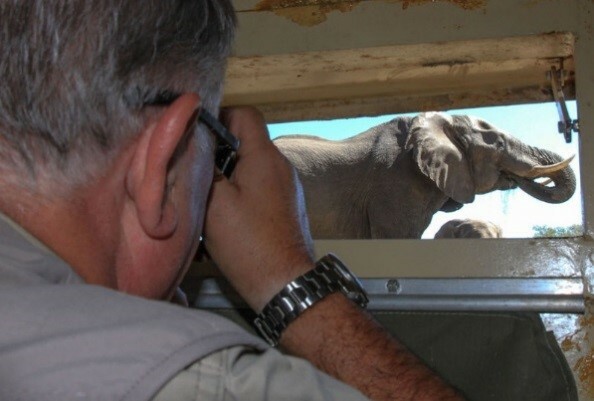 There is a slot cut for viewing, leaving one’s eyes just above ground level, and the elephants come within 2 metres. The photo opportunities from here are amazing turning even the newbies into professional photographers. 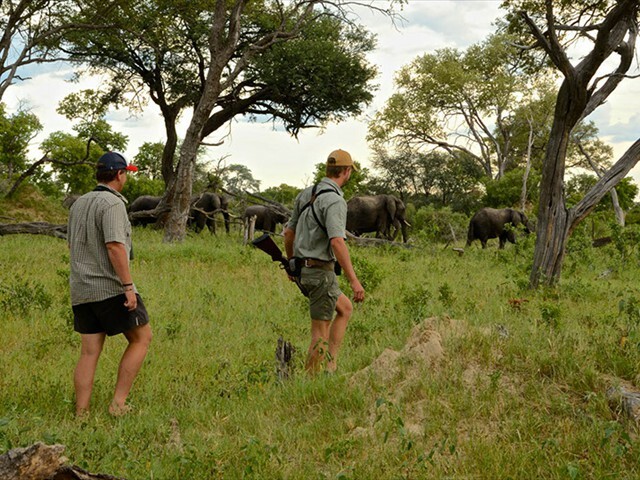 Of course the main pastime at Bomani is game viewing, and whether you choose to go on a guided game walk in the lodge’s private concession or a game drive in the national park, you will not be disappointed. From breakfast by the campfire, to dinner under the stars, the whole experience is fantastic. • All road and boat transfers between Kasane airport, the Chobe Princess, Victoria Falls and Hwange.